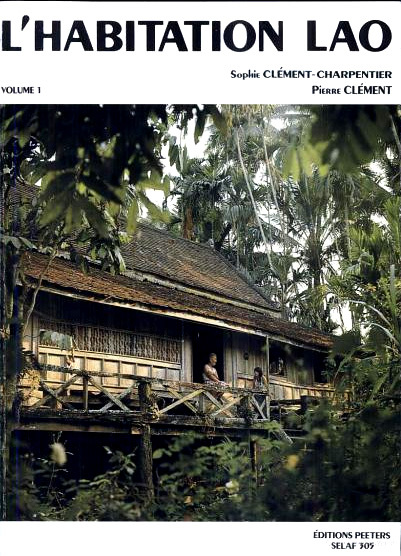 This 2 volume set of books offers the most comprehensive and in-depth look at what goes into a Lao home. The covers of the first volume are shown above. The writers have documented very well a lot of the aspects on a heuan Lao. 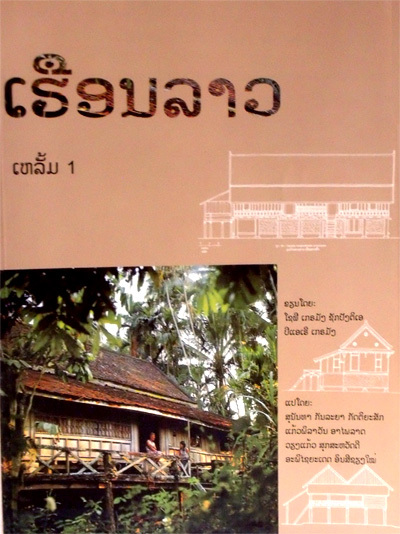 The books cover the Lao house itself, construction methods and materials, the layout amongst the yard and garden to the utensils and tools used in the home to information on the bathrooms and latrines, among other topics. As a Lao person, because I've grown with Lao items around me in a Lao household, you sometimes forget that stuff is actually quite interesting and unique, especially to those who are non-Lao. This book was written by 2 French researchers. From their perspective, there was a lot that they found fascinating to them and it shows in their detail. 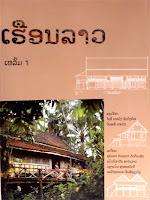 Reading this book was a reminder for me and my own home and of what helps to make a home Lao. It was originally written in French in 1990 and then translated entirely into Lao in 2003 with funding for translation and publishing provided by the Toyota Foundation. So there are the 2 different language versions you can get. They contain mostly text but also have a handful of pictures and diagrams. The books are on the expensive side and rare, as they sell for $70-100USD and most sources for the book come from Europe for the French version. It may be easier (and of course cheaper) to get this book through an inter-library loan at your library. I still recommend these books if you're very interested in the Lao home and associated topics and if you can read Lao or French. My one main criticism, which is one I've made on previous reviews, is that this book would have been a lot more accessible and useful had an English version been created. Not to mention, they'd probably sell a lot more copies had this been the case. A lot of research work in Laos is done in either English or Lao - French, a rarity. Although admittedly the French researchers/writers produce very comprehensive books on Laos - these 2 volumes being a good example of that. I didn't know there were so many different books about Lao culture apart from Lao language. Thanks for sharing!! Happy to hear you're enjoying the book reviews. We'll be continuing to share more reviews on all sorts of books about and/or from Laos. Thanks for your comments!